High-quality child care and early childhood education set the stage for how well our children learn, how they think of themselves and how they interact with their world. High-quality child care and early childhood education set the stage for how well our children learn, how they think of themselves and how they interact with their world. Research shows the quality of care and education children receive in their first four years impact brain development. During those years, children learn life-long social, physical and academic cues. It’s why Better Beginnings strives to connect parents and grandparents with the information and care to help their little learners succeed in life. Finding child care that you trust, no matter your child's age, can be a stressful decision. There are so many factors at play – how close is the center to my work? Is the child care provider near my home? Will my child be safe while he’s at school? How do I know the people watching my child receive proper training? These are all important questions and Better Beginnings is here to help you know the ones to ask. And, better yet, we connect families with the care that is best for their child’s needs. Better Beginnings is the state’s quality rating improvement system for child care providers in all 75 counties. In short, Better Beginnings connects Arkansas families with information and care that helps their children experience a safe, happy, healthy childhood. Better Beginnings takes a closer look at the classroom. It makes sure teachers in star-rated programs are receiving extra training. In some cases, teachers receive 15 more training hours each year than teachers who aren’t in star-rated programs. Better Beginnings provides a guide to choosing child care and it’s free to Arkansas families, the “Choosing Child Care Checklist.” The checklist is a tool parents or grandparents can use when touring child care programs. It’s meant to be used on your mobile phone and can be shared with multiple family members, but can easily be printed. The checklist is a guide for families, listing some of the most important questions to ask when choosing child care. It includes a guide of environmental cues to look for on the tour, too. For example, is there a safe outdoor play area with sturdy equipment? You can track what you hear and see at each facility and compare notes when it is time to make your decision. The importance of quality child care and early education standards is the driving force behind the star-rating system of Better Beginnings. 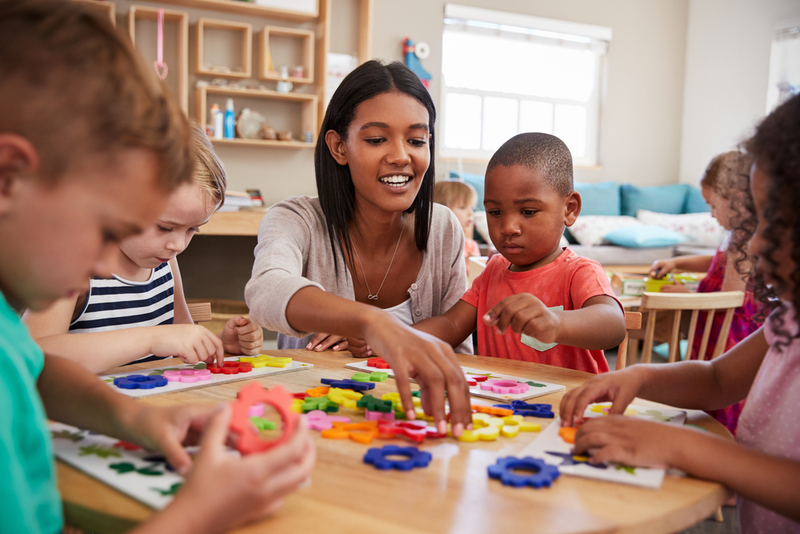 Better Beginnings is not a child care facility, but a program of the Arkansas Department of Human Services that works with child care facilities to bring quality care to their communities. Learn more about choosing or finding quality child care by visiting www.ARBetterBeginnings.com. Beverly Wright is the program director for Better Beginnings, a program of the Arkansas Department of Human Services. Better Beginnings is the state’s quality rating improvement system and works with child care providers to improve the level of quality in child care and early childhood education in Arkansas. Beverly has 23 years of child care experience, serving as a child care director in two school districts.